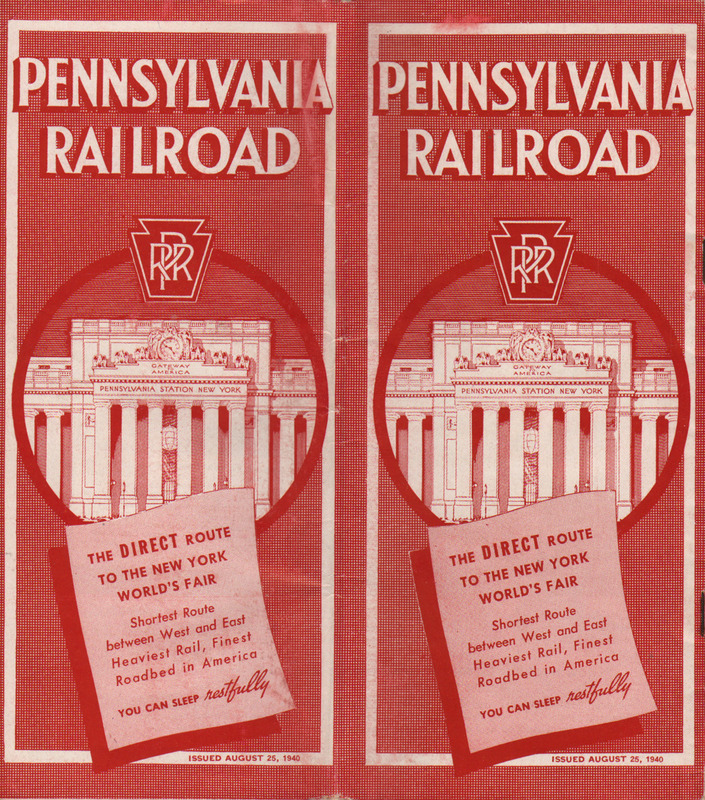 Description Pennsylvania Railroad (PRR) August 25, 1940 Form 1 Time Table (Timetable). 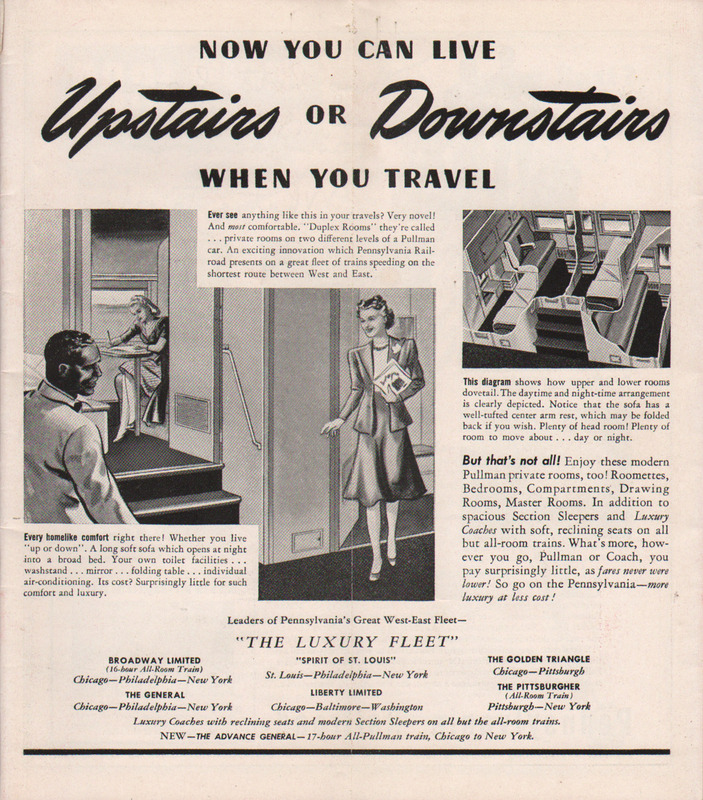 Picture of Pennsylvania Station in New York - The Direct Route to the New York World's Fair. Shortest Route between West and East, Heaviest Rail, Finest Roadbed in America. You can sleep restfully.